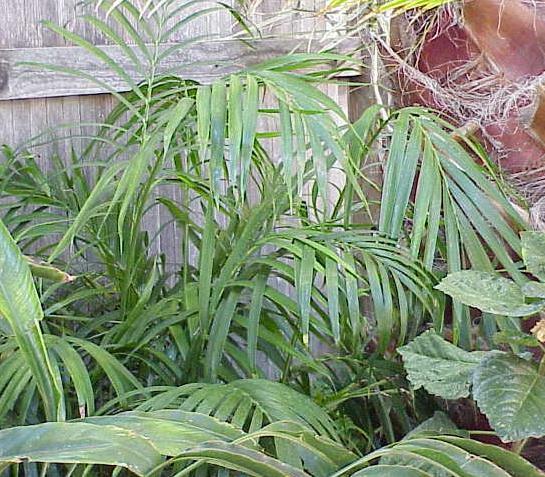 The natural habitat of this attractive and compact palm is Southeastern Mexico where it grows in wet forests or near fast flowing streams. Commonly used as a houseplant but has been successfully been grown as understory in shade. This is one that should be kept moist at all times and is well suited for the exotic tropical garden look. 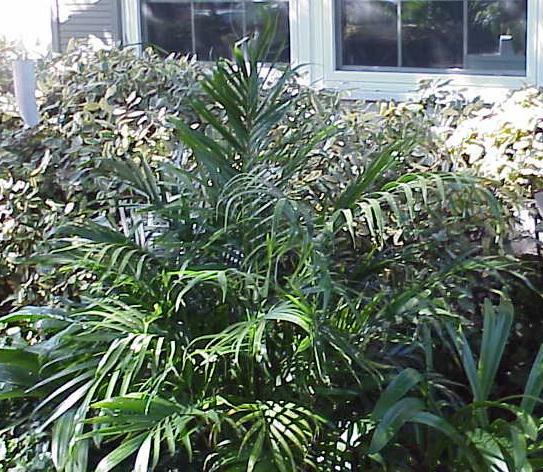 The mature size is usually up to 6 feet tall and the growth rate is probably faster than most palms. The suckering habit creates a dense clump of cascading fronds that is a sight to behold. The �Cat� is often sold in nursery outlets, but usually identified as �tropical foliage plant� and sold for use as houseplants. Inch diameter trunks will have 3 to 6 pinnate leaves up to 40 inches long with 30 to 50 leaflets each and up to 12 inches long and 1 inch wide. Clumps will spread to about two feet wide, but the outer trunks can be horizontal and forked, creating the look of an 8 foot wide plant.